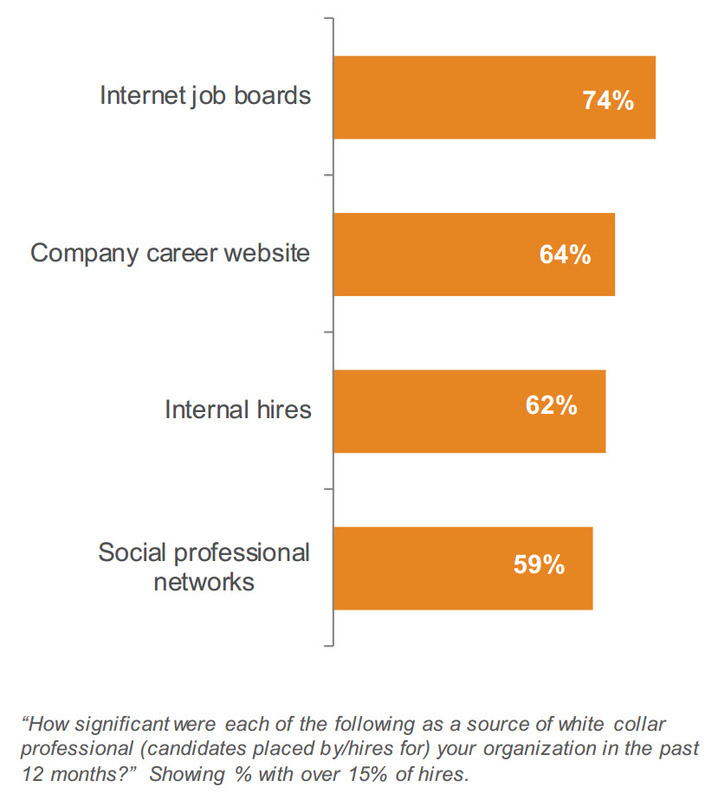 Job boards vs. social media: What’s the most significant source of hire for companies globally? LinkedIn recently surveyed over 4,000 talent acquisition leaders in 31 countries, gaining insights into source of hire, quality of hire, quantity of hire, talent brand, the future of recruiting and more, so if you haven’t already downloaded and reviewed LinkedIn’s 2015 Global Recruiting Trends e-book, I highly recommend you do so by clicking here. While I’m going to share a few of the insights from the Global Recruiting Trends e-book (including the job boards vs. social recruiting), I highly encourage you to compare them with LinkedIn’s country specific recruiting and staffing e-books (Southeast Asia, Australia, India, U.K., Italy, Belgium, etc.) which can be found here. There are some significant differences, specifically when it comes to source of hire. 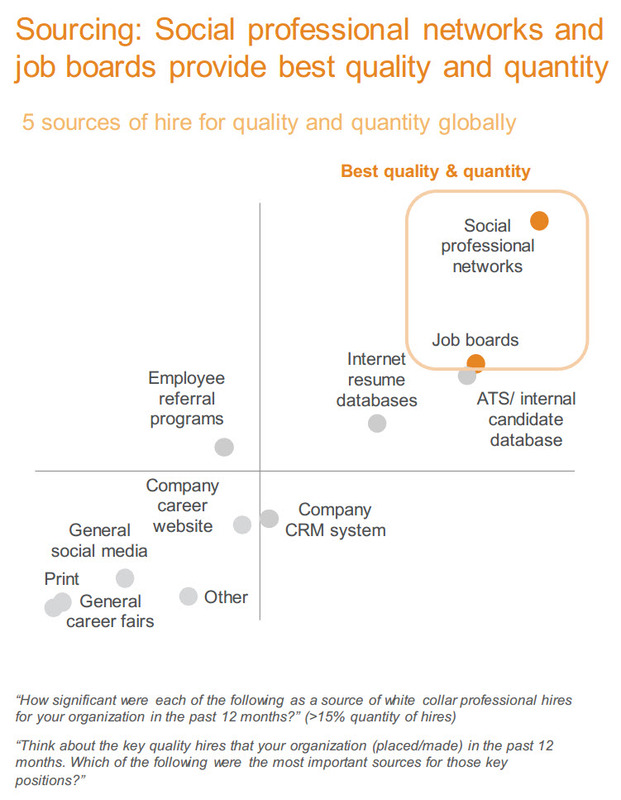 Recruiting/sourcing highly skilled talent ranks #1 globally, followed by improving quality of hire, improving sourcing techniques (which should help with #1 and #2), and pipelining talent, which while unsurprising, is interesting when you critically analyze the issues associated with proactively pipelining talent. The reports of the death of job boards have clearly been greatly exaggerated. 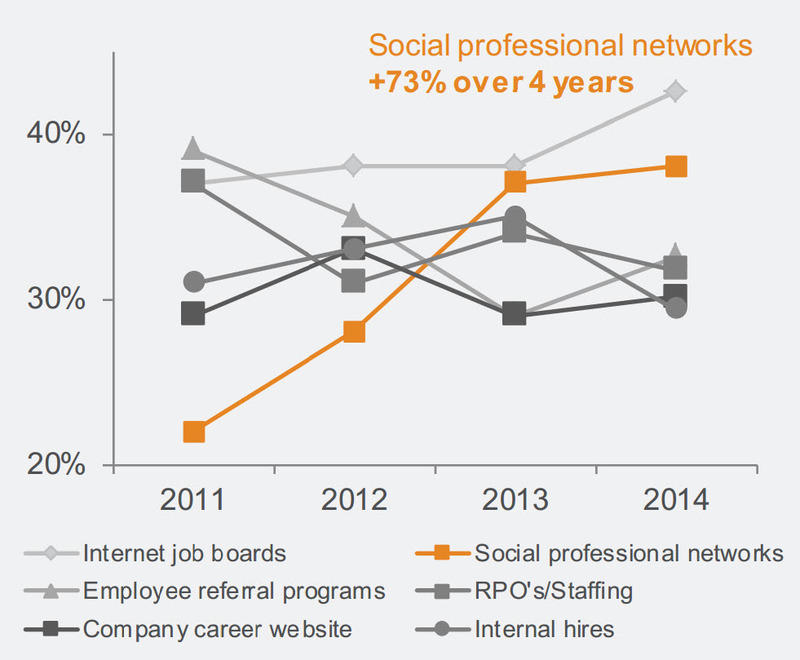 As expected, the use of professional social networks have increased significantly over the past for years and have become a significant source of hire when it comes to filling key positions. Weren’t job boards supposed to die a LONG time ago? As you can see from the graph below, internet job boards aren’t dying, they’re actually getting stronger. 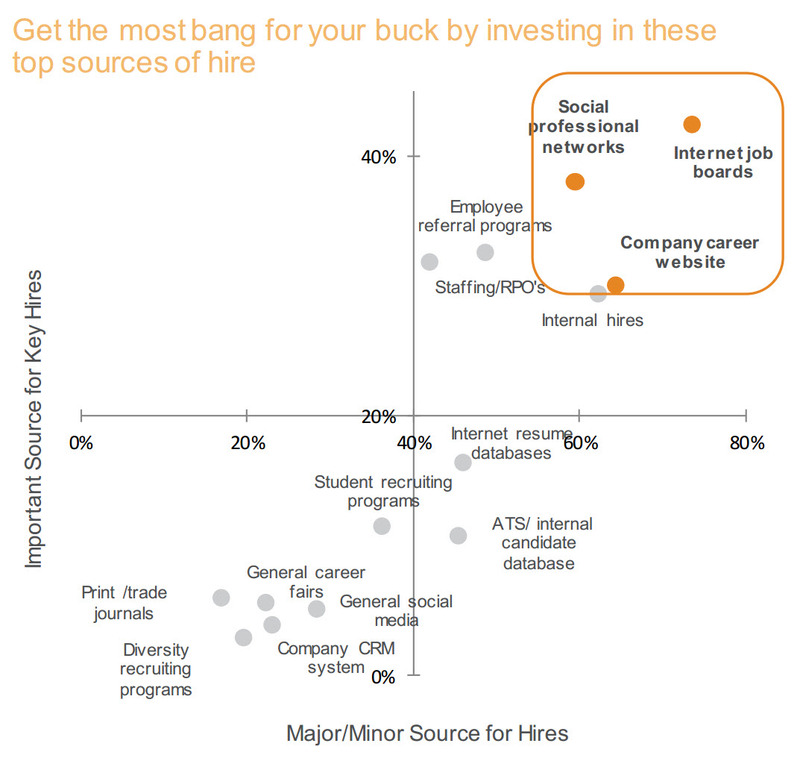 This is a great graphic comparing various sources of hire by volume and importance in filling key roles. Now that you’ve had a taste of some of the results from LinkedIn’s survey of over 4,000 talent acquisition leaders in 31 countries (e.g., job boards still provide significant ROI), download the full e-book to see what other insights they gained, globally and by specific country. Also, if you’re curious, be sure to check out LinkedIn’s U.S. Staffing Trends e-book (the global version is coming soon). Here’s a teaser – it appears that staffing firms are doing a better job of producing a volume of high quality hires from social media than their corporate recruiting counterparts. Why do you think that is?